Enjoy a break in our beautiful and spacious fully furnished townhouse, the ideal location for a relaxing holiday with all the family. 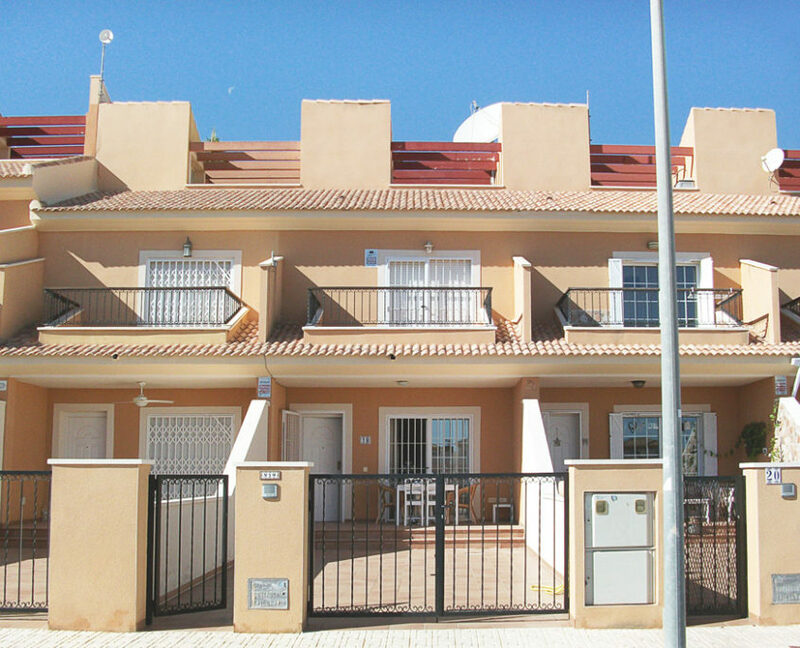 The property is located in a quiet and relaxing area with the convenience of shops and beaches nearby and the amazing Villamartin Golf Club within close proximity. The Costa Blanca presents over 120 miles of stunning Mediterranean coastline in the Alicante province, on the southeastern coast of Spain. An ideal location for a summer or winter sun holiday with an average of 320 days sunshine each year. 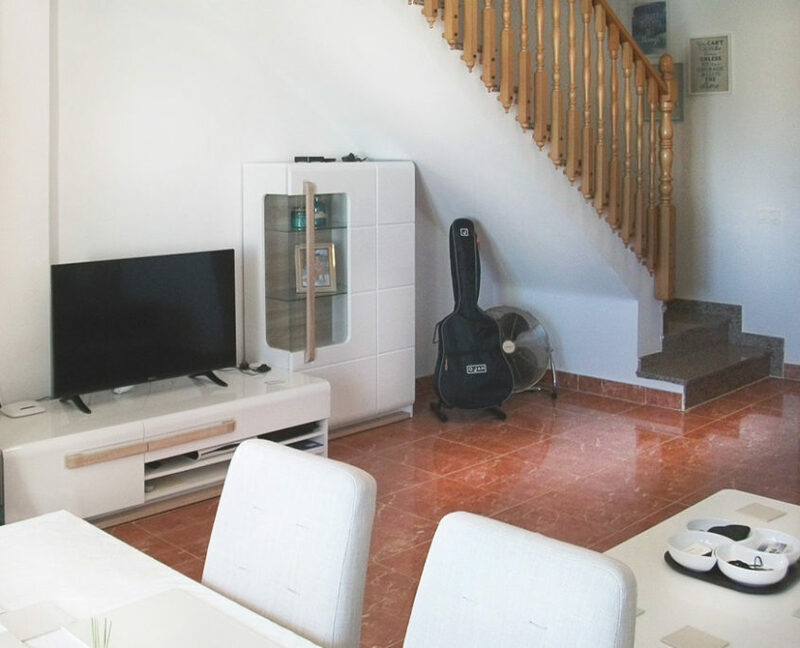 Whether your perfect Vacation consists of beaches, golfing, activities or relaxation, this property will provide beautiful and comfortable accommodation for you as you explore the wonderful sights of Costa Blanca. The property provides accommodation for up to six (6) guests and also a cot bed and a highchair for a baby. 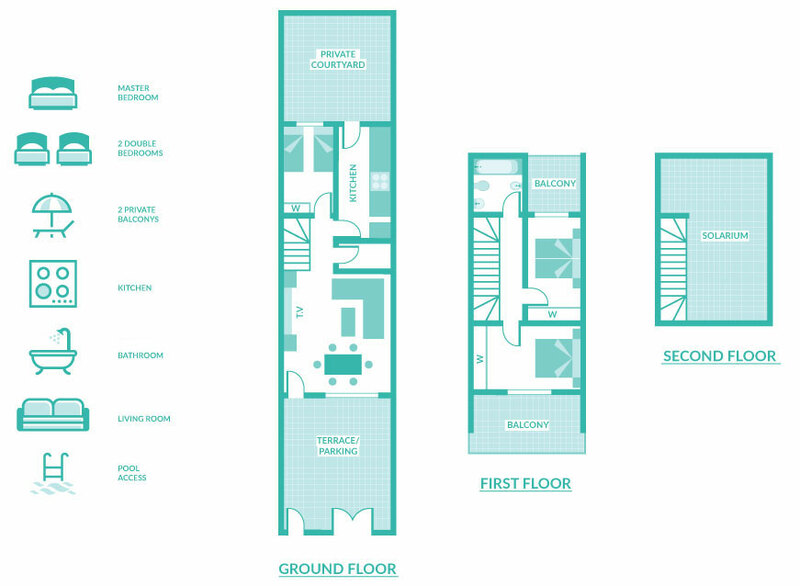 The accommodation is accessed via a private terrace offering private off street parking at ground level and has a large living/ dining area with separate kitchen. There is a beautiful private courtyard to the rear from which to enjoy the Spanish sunshine and al fresco dining if desired. 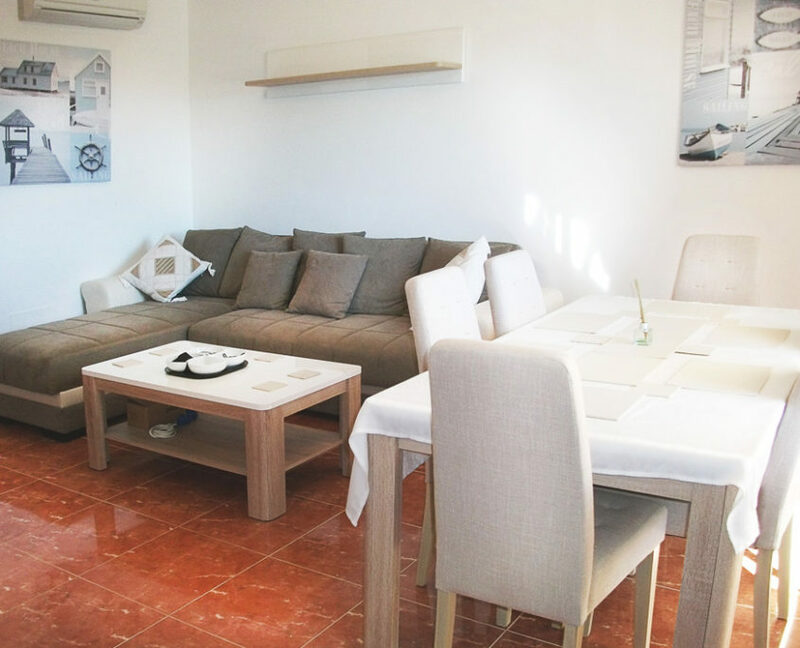 The accommodation extends to three double bedrooms, two of which have private terraces and there is also a good sized solarium on the second floor, as well as a private communal pool for use of guests during their holiday. 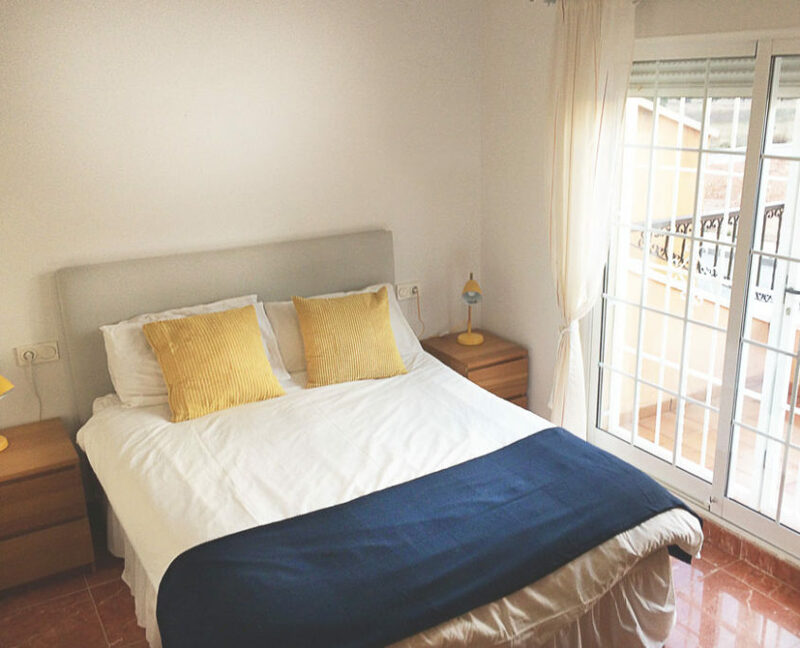 BOOK YOUR PERFECT SPANISH GETAWAY TODAY!